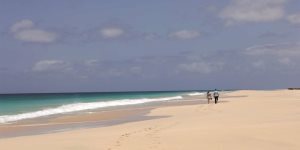 The Cape Verde islands are a beach lover's paradise - especially the islands of Sal and Boa Vista. The sand, sometimes white, sometimes fierce and golden, stretches for miles, and in places you can feel like you're the only person there; not to mention the turquoise ocean and the cooling sea breeze... We've personally selected some excellent hotels so you can make the most of the beaches and the sea - come and take a look. Take your pick from our wide range of beachfront hotels - from all-inclusive hotels with exceptional facilities including spa treatments, to small guest houses, hidden away in quieter areas of the islands. 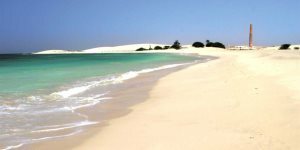 The coastline of Sal & Boa Vista are fringed with mile after mile of golden and white sand beaches. Relax outside your hotel or perhaps venture further afield and find that secret spot that will feel like your very own beach. Santa Maria beach is a stunning prospect - one and a half miles of golden white sand stretching into the distance. Outside the hotels the beach may be busy, but you can always find your own quiet piece of paradise. 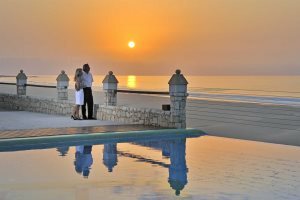 Boa Vista is home to some of the finest beaches in the world - no less than the remarkable Praia de Chaves, which is a long, broad sweep of golden sand, one end of which is a glorious lunar landscape of dunes. 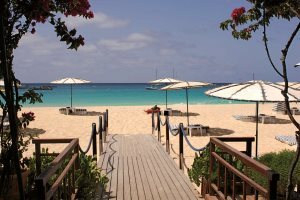 The Cape Verde Experience offers excellent value for money. They give that ‘little bit extra’ that makes for a good holiday. Odjo d’Agua hotel is great!